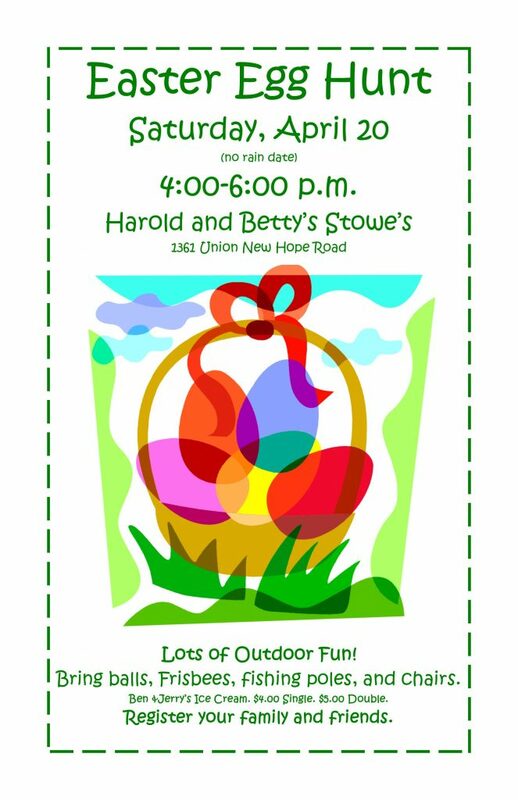 CLICK ON THE POSTER ABOVE TO REGISTER FOR THE EGG HUNT! A dedicated team of members and staff serve on our Children’s Ministry Team. Using their spiritual gifts, they evaluate and plan all aspects of our children’s ministry. Our goal is to teach the Gospel of Jesus Christ to our children and equip them to serve Christ in their homes, neighborhoods, schools, community and the world. We pursue this goal through solid biblical teaching in Sunday School, Worship Care and Wednesday evening ministries. Children have opportunities to put their faith into action by ministering to others in our church and by volunteering in the community at large through such programs as Interfaith Hospitality, West Gastonia Boys and Girls Clubs, Operation Christmas Child and more. First ARP Church is blessed with dedicated volunteers and paid caregivers for young children during worship services and ministry programs. Safety and security are paramount. Each person who leaves a child in nursery care is provided a paging device so that she may be quickly contacted if the need arises. A sign-out procedure is also in place for the release of children at the end of any event or service. Sunday Morning: 8:30 and 11:00 worship services and Sunday School at 9:45. Wednesday Evening: 6:15-7:30 p.m. – extended care for choir members is available upon request. Thursday Morning: 9:30 -11:30 a.m. – Bible studies and monthly Women’s Ministry. Special Events and Conferences: upon request through our Childcare Request Forms. Nurseries are located on the first floor of the Education Building. Sunday School, Worship Care and Wednesday Night ministries for preschool children begin at age two. Preschool children are included in seasonal programs and large church events throughout the year. Worship Care: Provided on Sunday morning during 8:30 and 11:00 worship. Two and three year olds go directly to their classrooms before worship and use a simple curriculum written by our staff. Four and five year olds are dismissed directly from the sanctuary before the reading of the scripture and use alternate year Sunday School curriculum for added learning and reinforcement. Sunday School: 9:45 – We use Sunday School curriculum by Great Commission Publications. Wednesday Evening: 6:15 – 7:30 – Preschool classes use a variety of curriculum. They also participate in seasonal activities and special events. Thursday Morning: 9:30 -11:30 – Our paid caregivers use a simple 52 lesson walk-through-the-Bible curriculum during this time. This is a seasonal ministry that coordinates with women’s ministry Bible Studies. Preschool rooms are located on the first floor of the Education Building. Sunday School, Children’s Church and Wednesday Evening programs meet on the first and second floor of the Education Building for our Kindergarten-Fifth Grade students. Our curriculum incorporates scripture and catechism memorization. We also provide take- home ideas for family worship. Wednesday evening also includes music and seasonal outreach projects. Sunday School: 9:45 We use Sunday School curriculum by Great Commission Publications. directly from the sanctuary before the reading of scripture. We employ alternate year Sunday School curriculum for added learning and reinforcement. Wednesday Evening: 6:15 – 7:30 Our children’s ministry time on Wednesday evening is equally divided between music and catechism. Many fun and seasonal activities are blended in throughout the year. Club 23 is a group that provides fellowship and activities for our 2nd and 3rd grade students. It meets several times a year for informal seasonal activities in members’ homes or other local settings. Club 45 provides quarterly activities for our fourth and fifth graders as an introduction to our Youth Ministry. It is time for fun and fellowship and also serves as an avenue for outreach to friends and neighbors. Second through Fifth graders participate in Communicants Class during the second half of their school year. This course prepares the participants to make their public profession in faith in Jesus Christ. Ministry Minutes assignments also introduce these young people to a variety of ministry opportunities at First ARP. At the conclusion of the class, students are invited to make their public profession of faith and become a communicant member of First ARP Church. The summer months provide children with expanded opportunities for learning and ministry. Vacation Bible School for 2 year olds -5th grade is held on an alternating summer schedule. Adventure Camp and Adventure Camp Junior provide more of a day camp experience during alternating summer months. Elementary children also have the opportunity to attend the Bonclarken Music Conference and Camp Bonclarken.